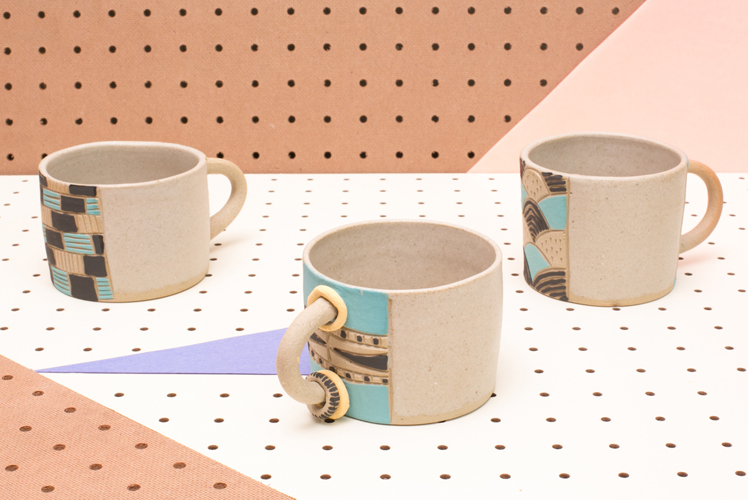 FK chats to Carly of super fun and colourful ceramics label Public Holiday. Come along and see these hand made beauties in person at the upcoming Sydney Markets! Tell us a bit about PUBLIC HOLIDAY and what we can expect to discover? 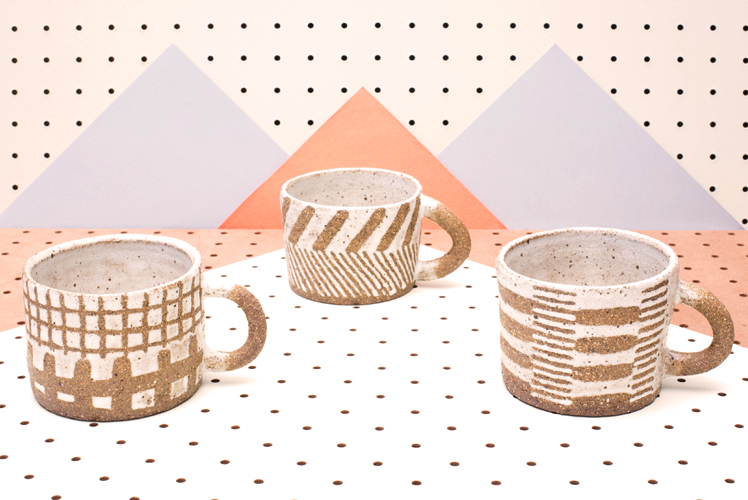 PUBLIC HOLIDAY is all about fun and functional ceramics. Simple forms and experimentation with pattern through carving, wax and painting. 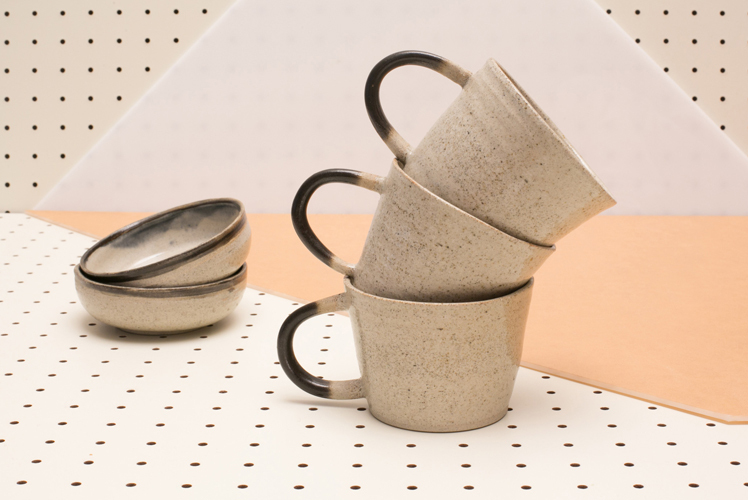 Pieces are crafted completely by hand and embrace the honesty of clay in its textures and colours. Bright pops of colour are also a feature and patterned beads are a fun new addition to look out for! All pieces are made to be enjoyed and be a favourite part of your day to day rituals. I have a background in design, I say that broadly as it really is a multidisciplinary mixed bag! With a degree in visual communication, studies in print making, crochet classes, a masters in design and typography residencies. The one constant is always being heavily influenced by exploring and experimenting with materials. From growing textiles, laser cutting vegetables, or harnessing the power of a mouse for a drawing machine, it has always been a key element in my work. This fascination for new materials and a drive to get more hands on led me to adventure into clay. As a new ceramicist I feel my style is constantly developing, from learning new techniques (you never stop learning!) to exploring processes. I often find inspiration in daily life, the visual culture I’m immersed in and the repetitions of pattern found in everything from roof tiles, to textiles, to milk crates. I also like to collect visual references, architecture, fashion and photography are definitely key. Right now I’m really into the photographic work of Karl Blossfeldt, an amazing german photographer who captured stunning structural and architectural portraits of plants. They’re simply beautiful! My home is a converted warehouse garage space (complete with roller door!) in the inner west suburbs of Sydney that I share with my partner. It is also the perfect spot for my ceramic setup! 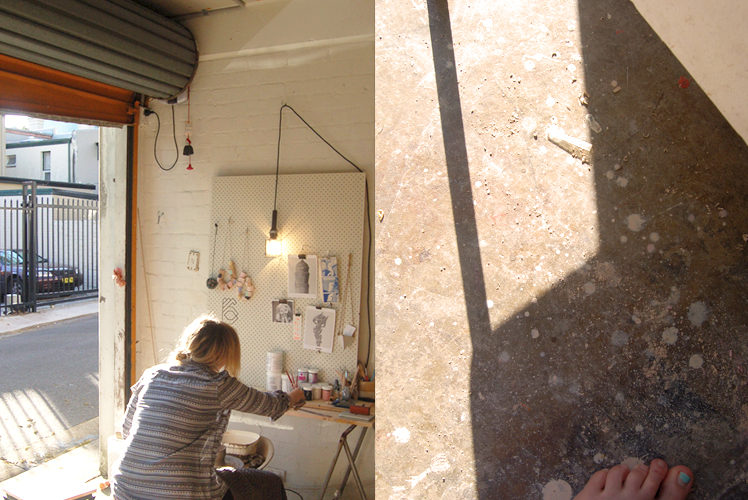 Next to the back roller I have my wheel, bench, inspiration board and tools, pigments and glazes. The fresh air, afternoon sun and passers by makes for a really fun working environment. I really like to start off my creative process in a sketchbook, this gives me the freedom to create forms visually in amongst my busy days and is a great way to secure a direction before sitting down to make on the wheel. 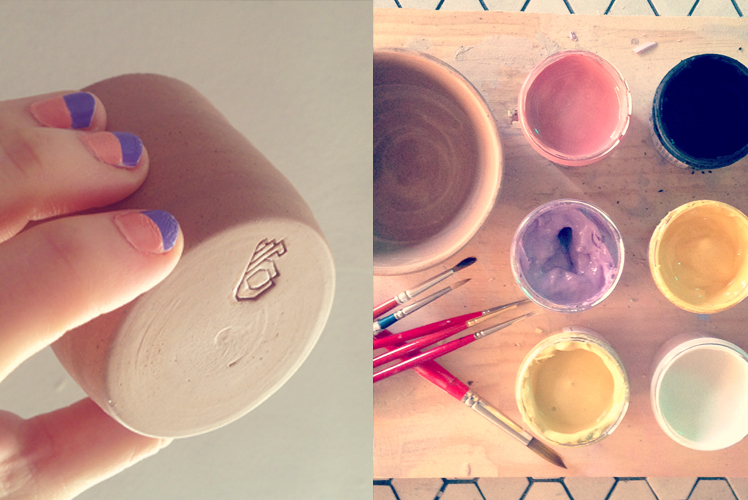 What do you love about working with ceramics? What are some of the challenges? 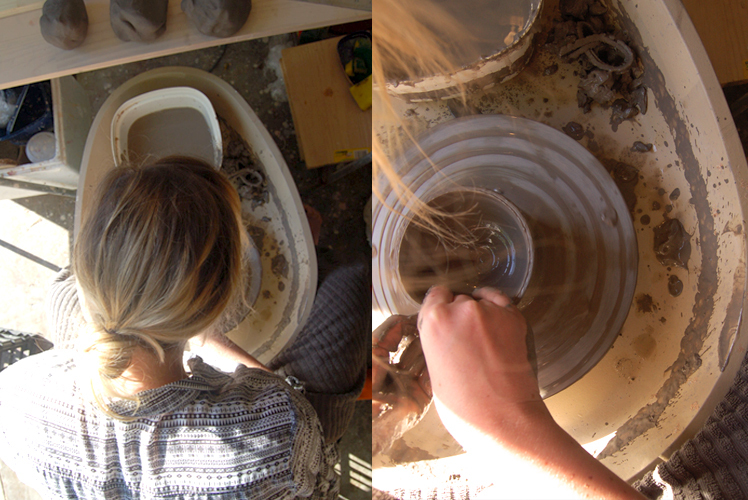 My absolute favourite thing about ceramics is the ability to turn a raw material into something functional and aesthetically unique – with my own two hands! 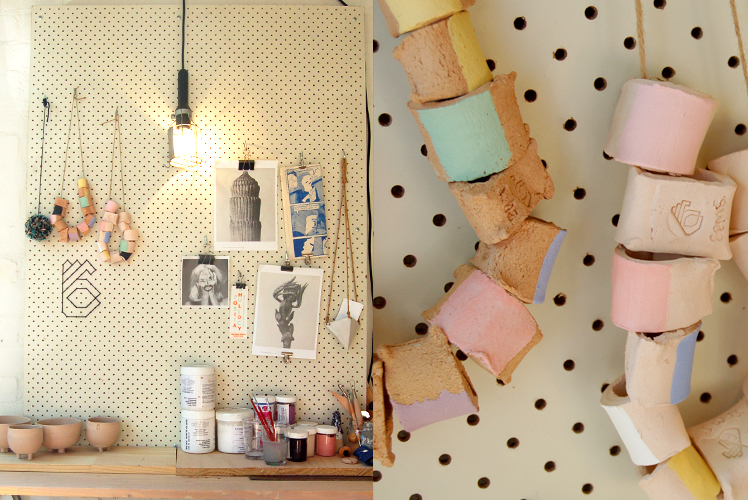 Creating objects that people can treasure, gift and embrace into their own spaces. One of the biggest challenges I find with ceramics is to not get too attached! 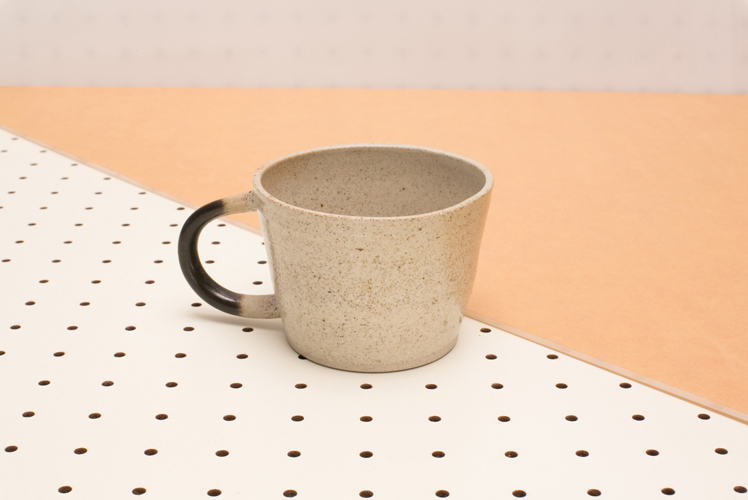 Each piece embodies so much personality and sometimes it is really hard to part with a favourite mug or planter (there are always many favourites!). The process itself is also very experimental and in being so there are many possibility for failures – that being said theres nothing better than collecting a stunning new piece from the kiln! What can we expect to see from PUBLIC HOLIDAY at the upcoming Sydney Markets? 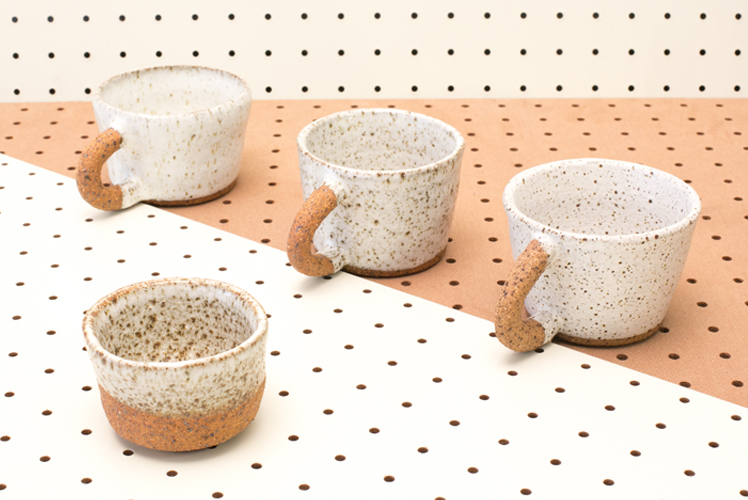 I’m currently working on a variety of functional ceramic vessels, in the forms of mugs, planters, bowls and lidded objects for the Sydney Markets. Made from a variety of stoneware clays and hand-formed on the wheel and finished with pops of bright colour and hand painted patterns. Each piece is finished with the signature PUBLIC HOLIDAY stamp! I’m so excited for the Sydney December markets and to share my debut collection – just in time for Christmas! This artist produces work that I could see in my home. It’s refreshing to see such beautiful pieces with such functionality.